So you are going to Prague. Great choice! Whether in winter or summer, this city is always beautiful and magical. 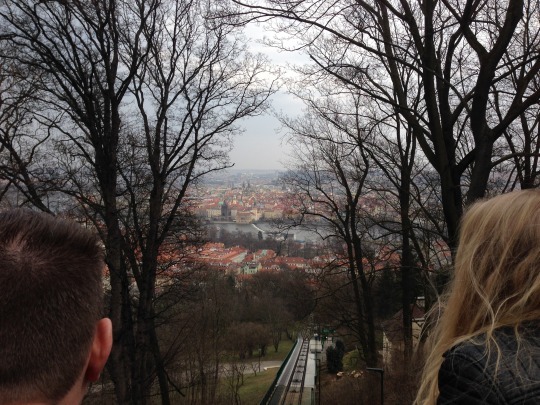 After spending 4 days here in March, these are my tips for must see and do’s in Prague, Czech. 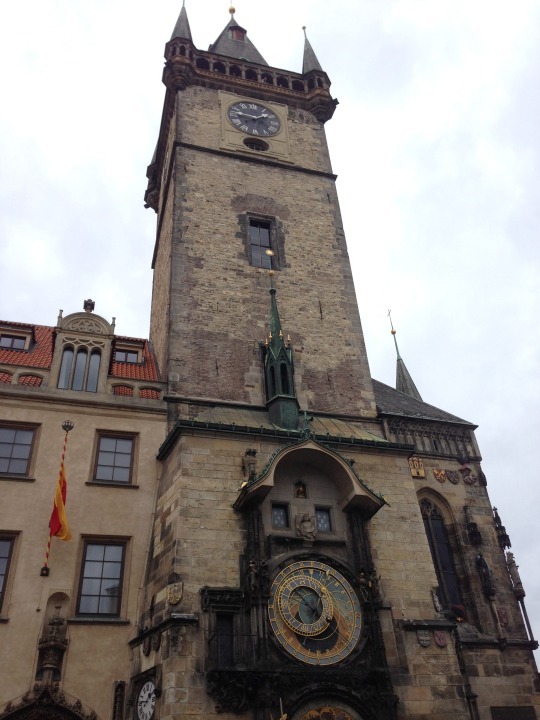 This medieval clock tower in the main square rightfully attracts a lot of tourists, so prepare for a crowd. The stunning clock is the oldest still operating astronomical clock in the world and has an intricate design and mechanical detail, with zodiac signs, celestial symbols, and animated figures. The hill on the west side of the river allows for a fantastic view over the city. For those who can’t or won’t make it up by foot, there is a cable cart service as well. This city is gorgeous. 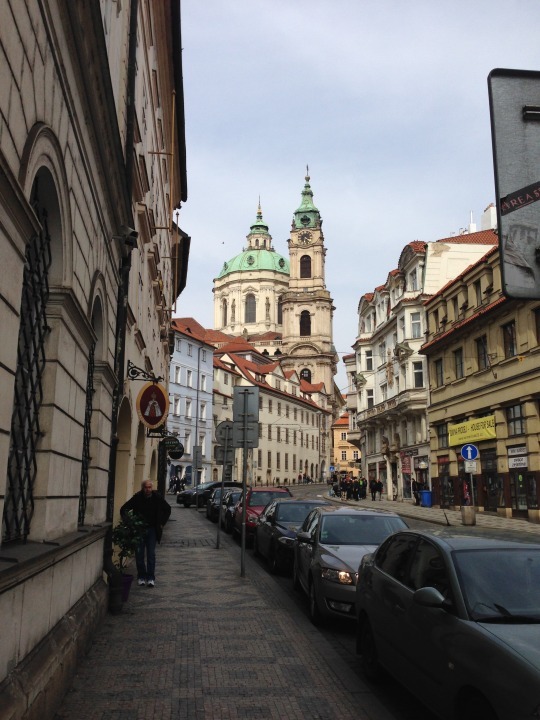 Prague has an interesting mix of architectural styles and has remained very well-preserved during the centuries. It lends itself well to just strolling around and taking in the beautiful structures around every corner. 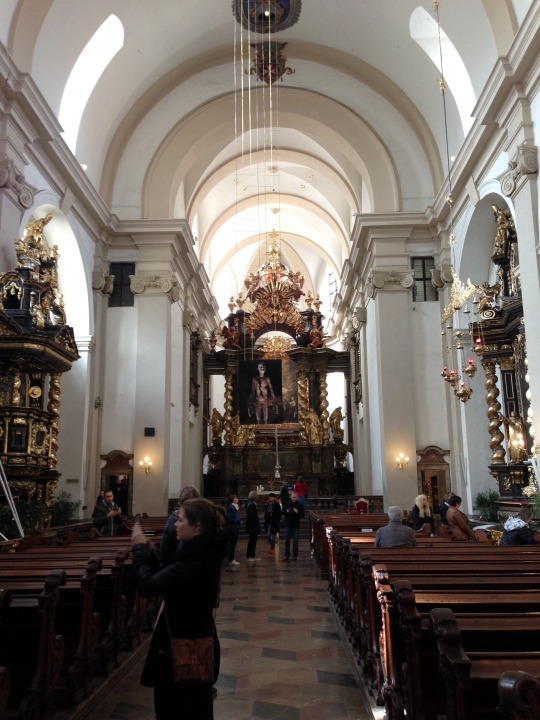 There are some stunning churches in Prague filled with ornate decorations and art. Whether you’re religious or not, they are well worth a visit. Prague has a reputation for magic and the occult. 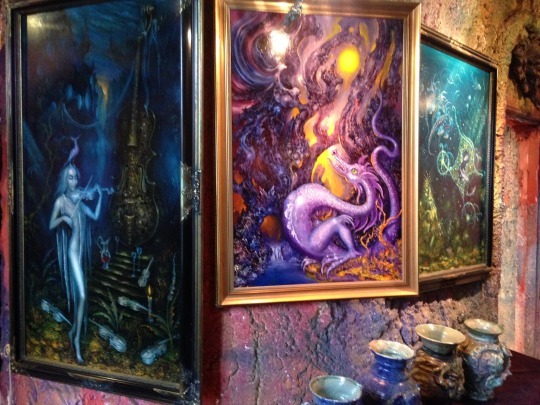 We stumbled across this weird little “Magical Cavern Museum” and just had to take a look inside. It turned out to be a dark cellar filled with strange art. Not much of a museum, but surely a unique experience. As I mentioned before, I am a huge fan of Alphonse Mucha. 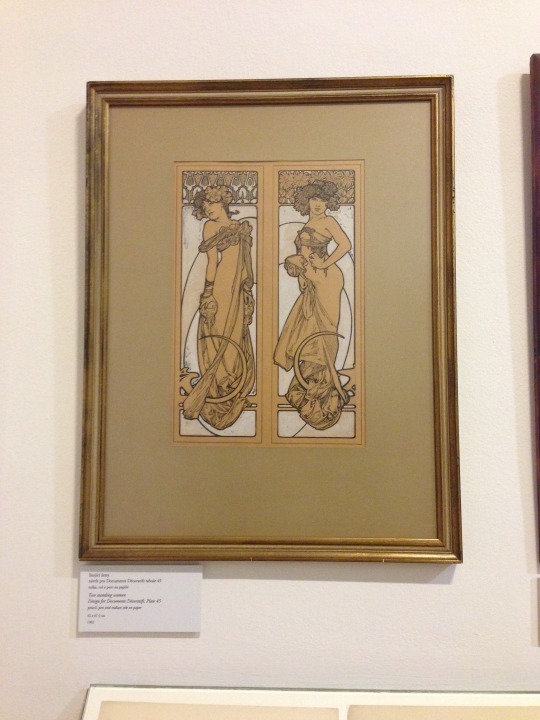 And even if Art Nouveau is not your taste, I would still recommend a visit to the Alphonse Mucha Museum. If not for the paintings, then for the extraordinary life of this proud Czech artist and his legacy. Prague is full of life, both day and night. Filled with pubs, bars, and clubs there is something for everyone. Prague also houses Europe’s biggest nightclub, Karlovy Lazne, with an impressive 5 flours. 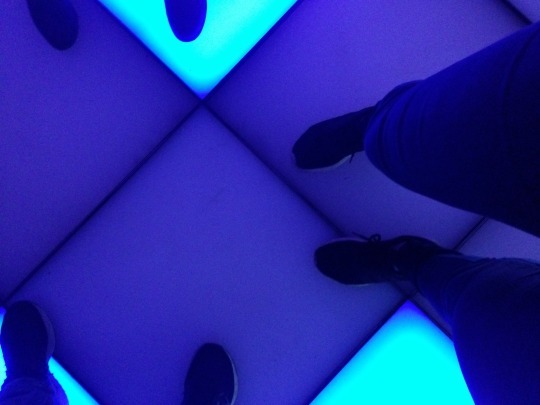 Each floor plays a different style of music so you won’t have an excuse not to dance. Last, but most certainly not least: eat. 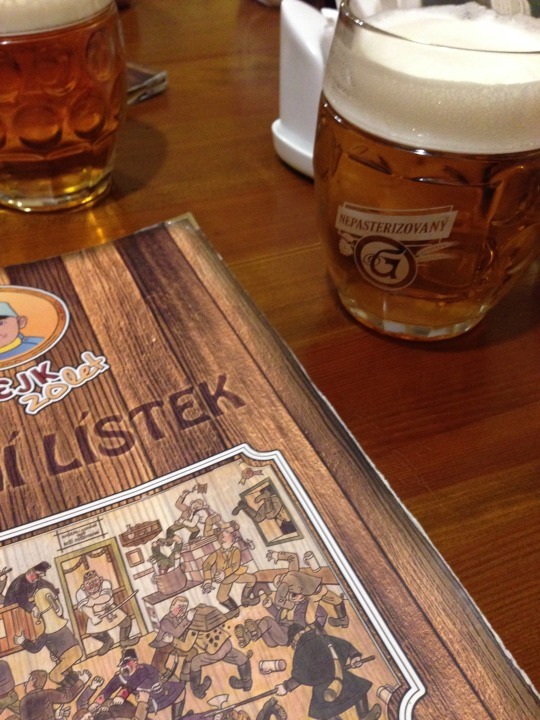 Prague is filled with great food, both traditional Czech as international cuisine. 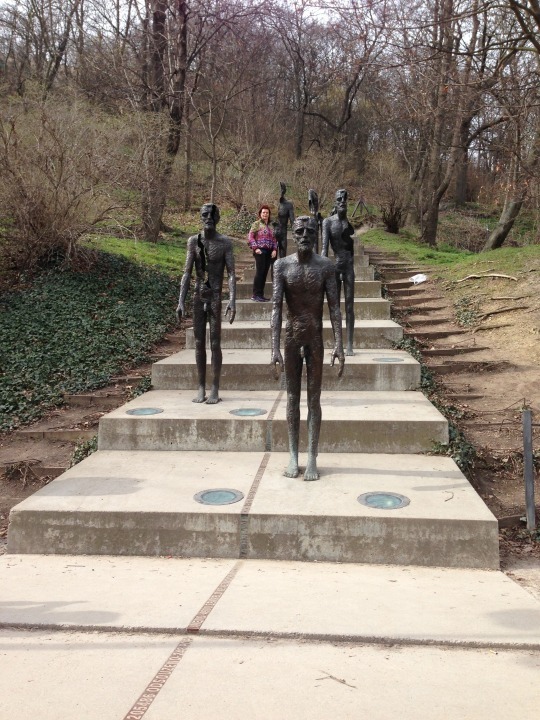 See my post on what to eat in Prague for some specific recommendations.